Watch iTunes Protected movies on any android device, - anywhere! Easily Remove DRM protected from purchased iTunes movies. How to play iTunes movies on Android Device ? So you love downloading iTunes movies onto your android device? And your favorite place to buy them or rent them is from the iTunes store. They come in the M4V format which is mainly for Apple digital products and not many media players support that format. It has a DRM copyright protection, which means you cannot transfer it to another non-apple device such as a USB stick, Android devices, PS4, Xbox, and etc. Nobody can directly transfer purchased iTunes movies to Android phone or tablet due to the DRM protection. If you rent a movie from the iTunes store, after 24 - 48 hours the license expires and the movie disappears which is very disappointing. To play iTunes movies on android devices, Your best option is to remove DRM from bought iTunes movies files and convert them from M4V to MP4 because that will give you the freedom to be able to transfer the file to any other android device you want without any restrictions from Apple. But if all this sounds too complicated for you and you would rather have a software the hard work for you with a few clicks then you have come to the right place keep reading because below I will explain to you how to convert your iTunes movies in a few easy steps. 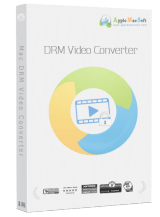 For Mac and Windows users, We recommend you to use DRM Video Converter, which can remove DRM protection from iTunes movies. By converting iTunes movies to DRM-free MP4 video format, so you can put the iTunes movies to your android devices, like android tablet and android phone. File liberation: you can finally free your iTunes movie files form the locked DRM protection, this means it can be played on android devices or any other device you can image without any annoying restrictions. The easiest way to remove DRM and get your iTunes movies to play on android tablet or android phone. Bulk conversion: let’s say for example you have rented 10 or more iTunes movies and now would like to convert them all at once to the MP4 format, now it’s easier than ever with this software, simply select all iTunes M4V files you wish to convert and the software will do the rest for you. The detailed steps of how to convert iTunes movies to MP4 format for play on Android Device ? Installation is exceptionally straightforward, drag the application symbol into to the application folder, and afterward double click the program to open it. 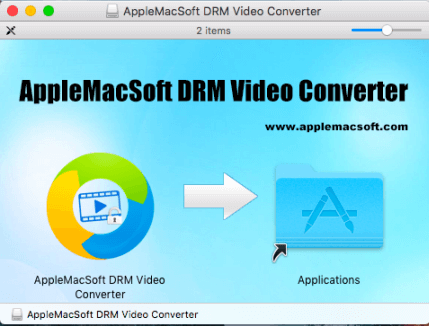 When launch AppleMacSoft DRM Video Converter and iTunes will be launched automatically. 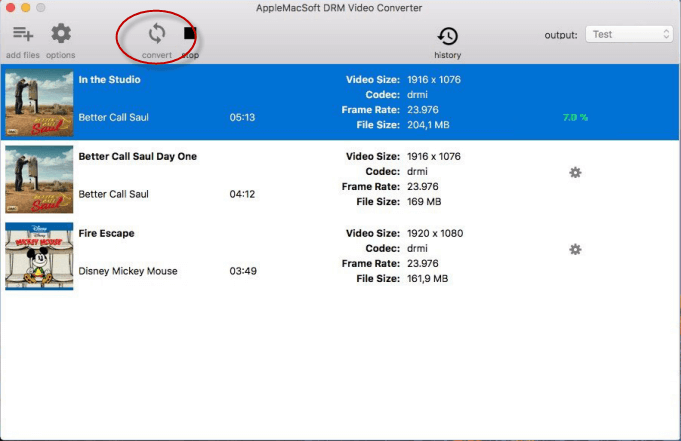 As the initial first step, all you need to do is to upload the iTunes movies that you wish to convert by click the "add files" button, and your iTunes movies will be listed out. Select iTunes movie files you want to import and click "Add" button. 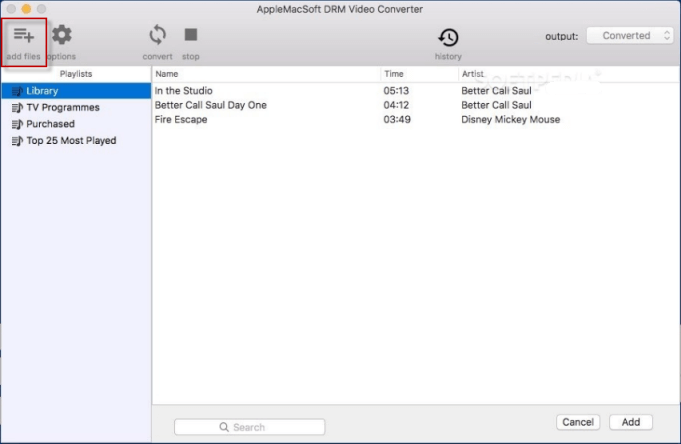 The good thing about the DRM Video Converter is that it has the ability to bulk process iTunes protected movies, so you can easily add more than one movie at a time. What you need to do next is to select the specific location on your hard drive where you would like the converted file saved also make sure you have enough storage space on your hard drive. The last step would be to to hit on the "convert" button and let the software go to work then what it will do is it will start converting all the iTunes movies that you have. After the conversion is completed, you will be able to find the converted MP4 videos by clicking on the "history" button and then you can free transfer the converted iTunes videos to any android devices that you like, such as android tablet, smartphone, Google nexus, Samsung Galaxy devices, and so on. Now you can see that you don’t really have to go through all the trouble in order to convert iTunes protected movies to android devices for playing without any limitation. 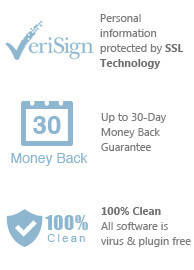 This software can make the process quick and painless and the results are very good. How to Cast iTunes movies to Chromecast on Windows? Play rented or purchased iTunes movies and TV shows on Roku. 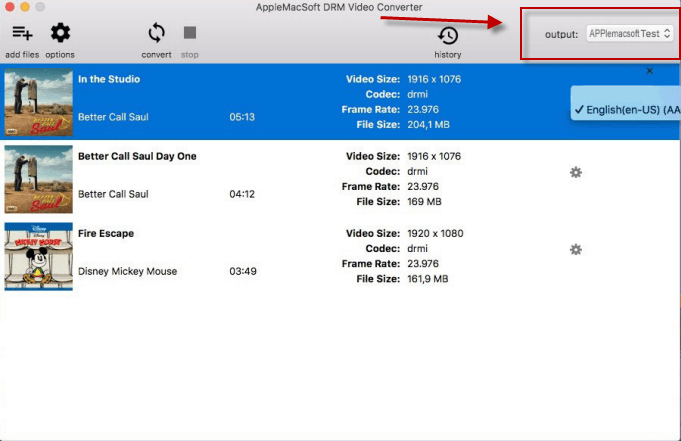 You can immediately download the latest version of DRM Video Converter for Mac and start to playing iTunes movies on android device right now !